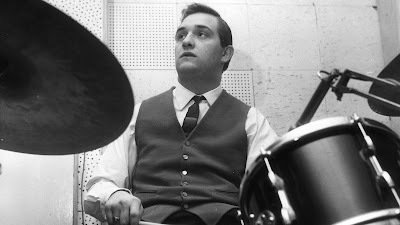 Clemente Anselmo Arturo Cattini (born 28 August 1937) is an English rock and roll drummer, who was a member of the Tornados before becoming well known for his work as a session musician. He is one of the most prolific drummers in UK recording history, appearing on hundreds of recordings by artists as diverse as Cliff Richard and Lou Reed, and has featured on 44 different UK number one singles. 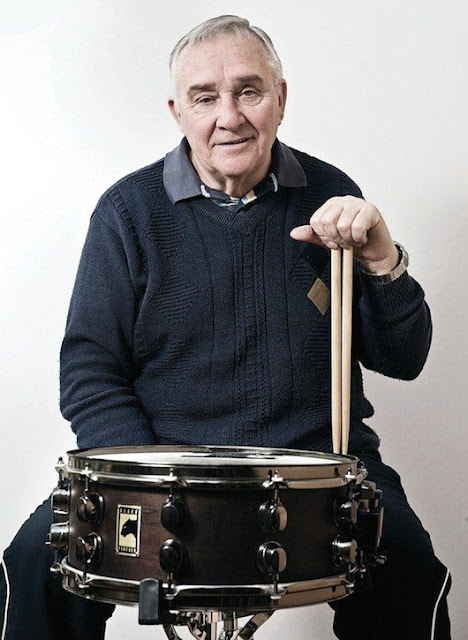 He was born Clemente Anselmo Cattini in Stoke, Newington, London, in 1937(some sources say 1939), and because of the onset of the Second World War he was one of hundreds of thousands of children evacuated from the city. As a boy he listened to a good deal of big-band music, and was a particularly big fan of the Latin-flavoured music of bandleader Edmundo Ros, whose recordings led the young Clem to think in terms of rhythm. He played hockey as a teenager, but the injuries he suffered made him think of music as a career instead. 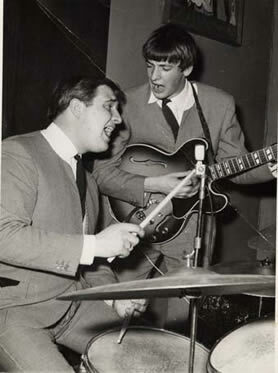 He was swept up in the rock & roll boom in his late teens, drawn in by Bill Haley's "Rock Around the Clock" and the records that followed after it from America. 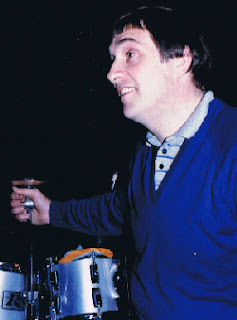 He was a frequent habitué of the legendary 2i's Coffee Bar, backing performers such as Terry Dene, before joining the touring band known as the Beat Boys, backing singers managed by Larry Parnes, including Marty Wilde and Billy Fury. 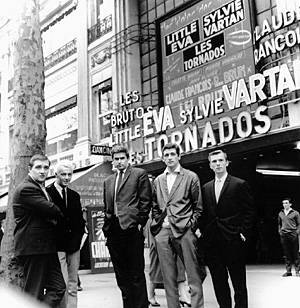 He then joined Johnny Kidd & the Pirates, playing on their hit "Shakin' All Over", and became Joe Meek's in-house drummer, backing artists such as John Leyton and Don Charles, before helping found the Tornados in 1961, and playing on their international No. 1 hit "Telstar". 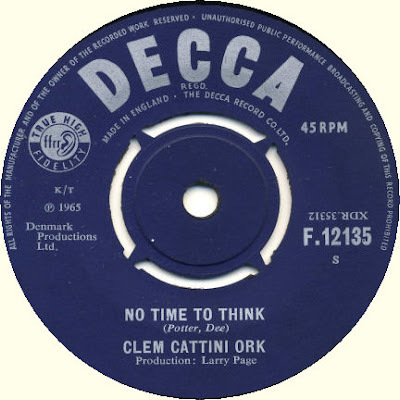 After leaving the Tornados in early '65 Clem issued a solo single under the name of "Clem Cattini Ork". He then went on to become one of Britain's most prolific session musicians, drumming on recordings by the Kinks, Herman's Hermits, Dusty Springfield, the Merseys, Bee Gees, Lulu, Marianne Faithfull, Tom Jones, P. J.
Proby, the Hollies, Paul and Barry Ryan, Gene Pitney, Donovan, Love Affair, Jeff Beck, Engelbert Humperdinck, Nirvana, the Ivy League, Edison Lighthouse, the Yardbirds, the Family Dogg, Marc Bolan, Clodagh Rodgers, Keith West, the Flower Pot Men, Georgie Fame, Roy Harper, Ralph McTell, Harmony Grass, Joe Cocker, Graham Gouldman and Brian Auger plus the Walker Brothers to name but a few. Thomas, Barbara Pennington, Slapp Happy, Mike Berry and Grace Kennedy, and prog rock bands including Beggars Opera, Amazing Blondel and Edwards Hand. 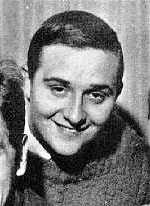 Cattini has played on at least 44 UK number 1 singles, including "Telstar", Ken Dodd's "Tears", Rolf Harris's "Two Little Boys", Clive Dunn's "Grandad", "Ernie (The Fastest Milkman in the West)" by Benny Hill, "Whispering Grass" by Windsor Davies and Don Estelle, Peters and Lee's "Welcome Home", Typically Tropical's "Barbados", J. J. Barrie's "No Charge", Renée and Renato's "Save Your Love", and "(Is This The Way To) Amarillo" by Tony Christie featuring Peter Kay. had earlier played alongside John Paul Jones on Donovan's hit single "Hurdy Gurdy Man". In the 1980s, he reactivated the Tornados' name for tours and, in 1989, played in the West End run of The Rocky Horror Show. In the 1990s, Cattini also reactivated the Tornados name, which counted for enough even 30 years after the fact to keep him busy on-stage when he wasn't working in the studio. In the 21st century, he has come to be regarded as one of the most beloved figures from early British rock & roll. his services to the music industry. 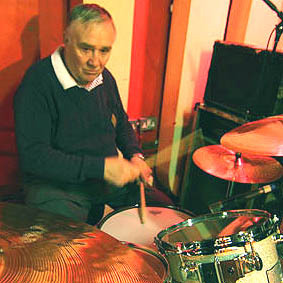 He more recently recorded the drums for the track "No Tears to Cry" from Paul Weller's 2010 album Wake Up the Nation. He was portrayed by James Corden in the 2009 film Telstar, and appeared himself playing John Leyton's chauffeur. I have had a few queries concerning Open Drive mp3 players not working. It seems my bandwidth is all used up. Bandwidth is the amount of data you can download in one day. Mine as a free user is IGB. Usually my mp3’s are included in the comments album link. If you are desperate to hear the record in question I will mail you the mp3. Unfortunately I only have a limited time per day for Internet tasks.